Keep checking this section for announcements of Special Guests, Entertainers and Speakers! Special guests for the 2018 Wildman Days included James "Bobo" Fay and Cliff Barackman from Animal Planet's Finding Bigfoot. Wildman Days is a full weekend of non-stop action. From Karaoke to Live Music to Presentations on Bigfoot, you'll wonder how you'll be able to fit everything in. And that's just the beginning! Participate in one of our many contests. Can you call the Wildman? Will your Beard achieve Legendary Status? Are you the Hairiest Man in Anderson County? Does your foot size put Sasquatch to shame? You never know what wacky contests will pop up at Wildman Days! Wildman Days is made possible by the help of our generous sponsors. A huge thank you to our 2018 Wildman Days Sponsors! To learn more about the benefits of sponsorship or to choose a sponsorship package to fit your budget, click HERE. 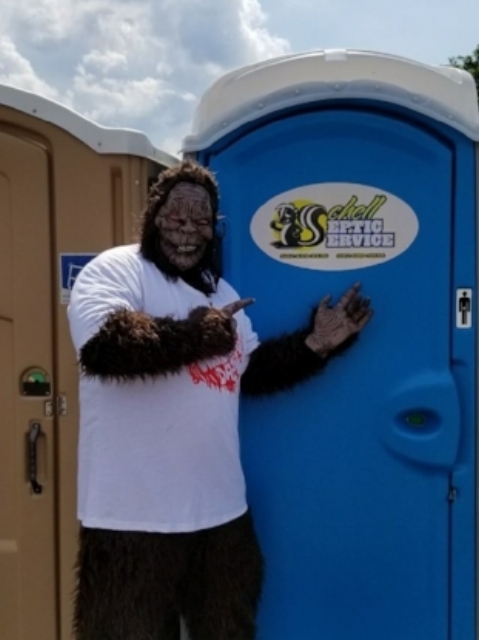 Sponsors like Schell Septic Service made Wildman Days 2018 a success! With everything from Bigfoot Apparel to Handmade Decor to Kid's Crafts (and everything in between! ), there's something for everyone at Wildman Days. The festival features over 50 unique vendors. It will be hard to find a more unique selection of crafts and gifts. If you're a retailer, artist, crafter, author or something in-between, we'd love to add you to our list of vendors. For more information on becoming a Wildman Days Vendor, click HERE. 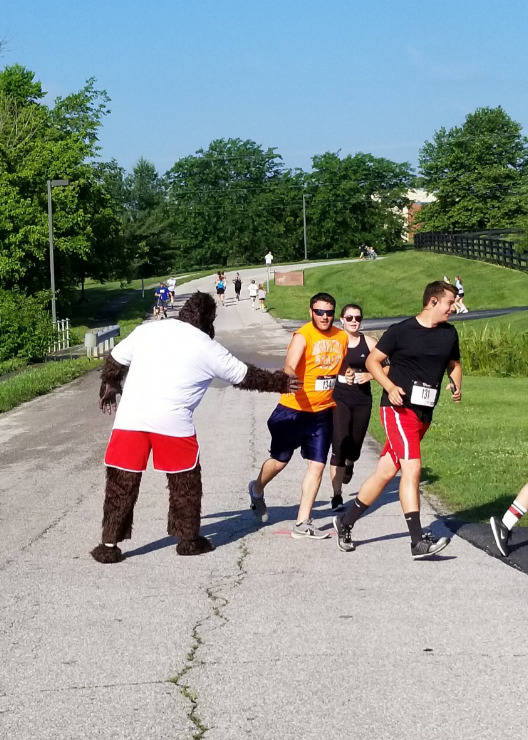 Can you outrun the Kentucky Wildman? Lace up those running shoes and hope for the best! This exciting 5K Fun Run takes you into the heart of Wildman Country. Anderson County in Central Kentucky has recorded sightings of a Bigfoot-like creature dating back to the 1700s. Will you be one of the lucky (or perhaps unlucky) few that sneak a peek of this hairy beast? Will you cross the finish line before The Wildman? Online signups will be available via RunSignup at a later date. In addition, registration will also be available the day of the race. Pre-registrants are guaranteed a Wildman 5K t-shirt. Day-of registrations will receive t-shirts on a first come/first served basis.